Providing you the best range of stainless steel plates and ansi / asme plates with effective & timely delivery. 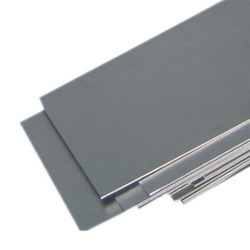 We Aashish Steel are one of the leading Stokist & Supplier of Stainless Steel Plates of India. And we believe that our product Stainless Steel Plates will always satisfy our customers. We at AASHISH STEEL offer our clients a wide-range of Stainless Steel Plates that is sourced from reliable vendors of the market. These are designed using advanced technology and are available in different grades of steel. 304, 304L, 316, 316L, 317L, 321, 316 Ti, 309, 310, 904L 410, 420, 430, 431, 202, etc. Plates Finishing: 2B, 2D, HR, CR, BA,Satin (Met with PVC Coated) oils, foils, shim sheet, perforated sheet, hequered plate, strip, flats, blank (circle), ring (flange), etc. Shim Plate, perforated Plate (round, square & oblong hole) & as per your drawing. Looking for Stainless Steel 309 Plates ?